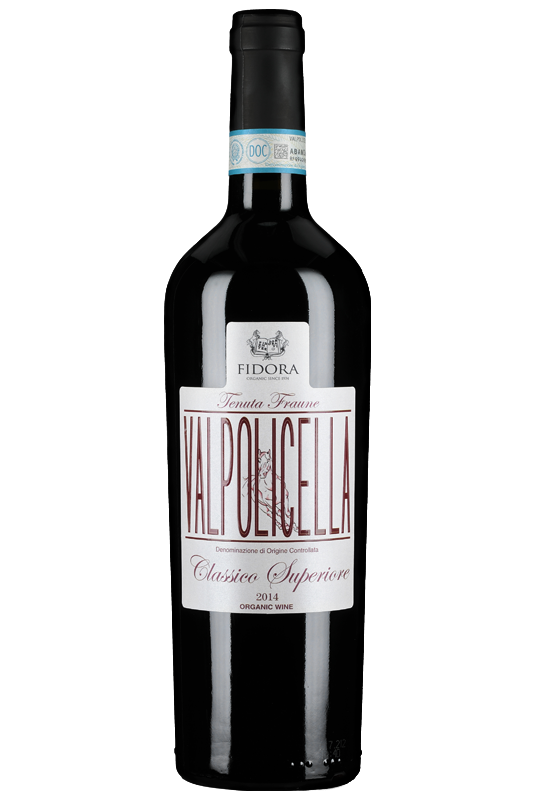 The Valpolicella Classico Superiore is made with the best bunches of Corvina, Corvinone and Rondinella from our Fraune estate, in the Classica Area. 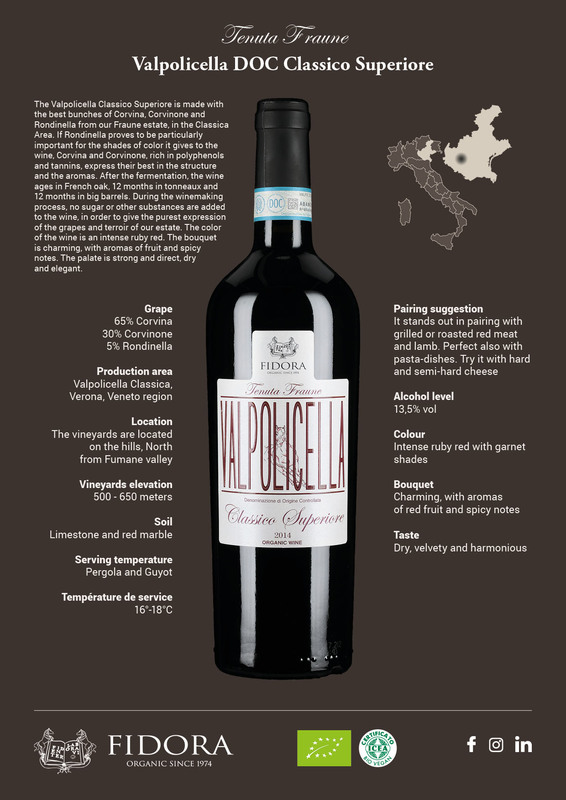 If Rondinella proves to be particularly important for the shades of color it gives to the wine, Corvina and Corvinone, rich in polyphenols and tannins, express their best in the structure and the aromas. 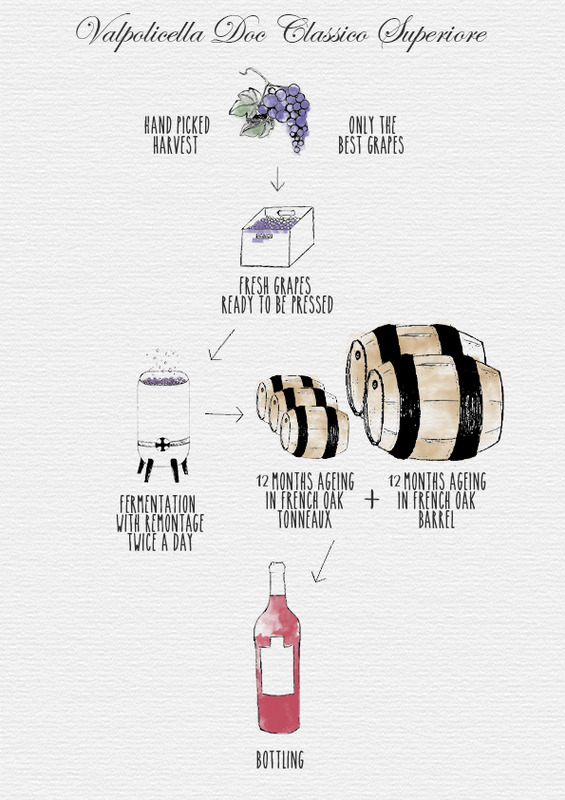 After the fermentation, the wine ages in French oak, 12 months in tonneaux and 12 months in big barrels. During the winemaking process, no sugar or other substances are added to the wine, in order to give the purest expression of the grapes and terroir of our estate. The color of the wine is an intense ruby red. 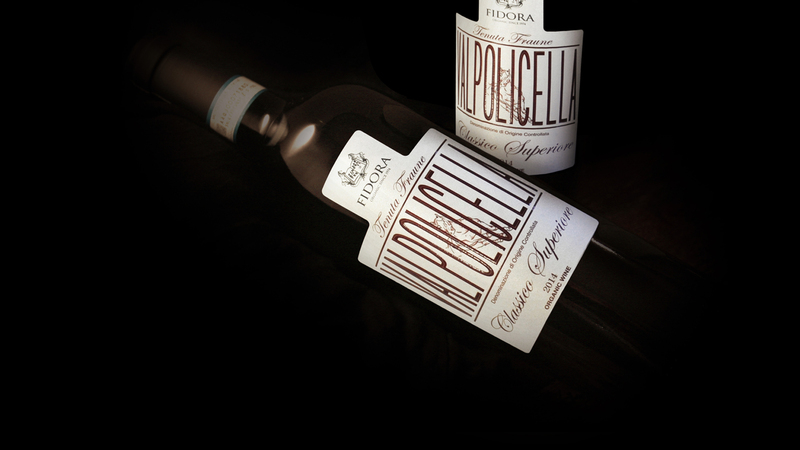 The bouquet is charming, with aromas of fruit and spicy notes. The palate is strong and direct, dry and elegant.